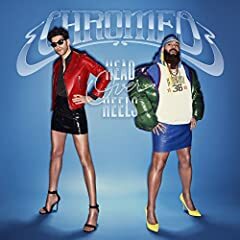 Chromeo is a Canadian electro-funk duo from Montreal, formed in 2002 by musicians David "Dave 1" Macklovitch and Patrick "P-Thugg" Gemayel. Their sound draws from blue-eyed soul, dance music, rock, "electro-synth...disco and also (arguably primarily) funk". The band has released four studio albums, their latest being 2014's White Women.